The Welcome area spans the width of the page, giving you a lot of room to personalize your message. The Video player is large and has an area next to it that allows you to add a message about your video choice. There is also a button that can link the visitor to another page for more information. The Travel Features section is awesome! There is an area at the top for text. Below are 6 rectangular images (or choose 3 if you want), where you can feature different travel topics that you want to highlight. There are additional options for the Plus and Professional packages. 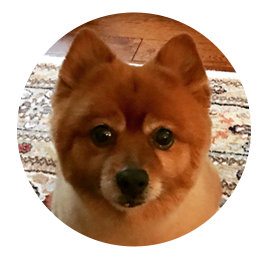 Rusty is a big Pomeranian (20 pounds!) that is as lovable as the day is long. We rescued him when he was about 2 and at nearly 13 years old now, he charms everyone he meets!